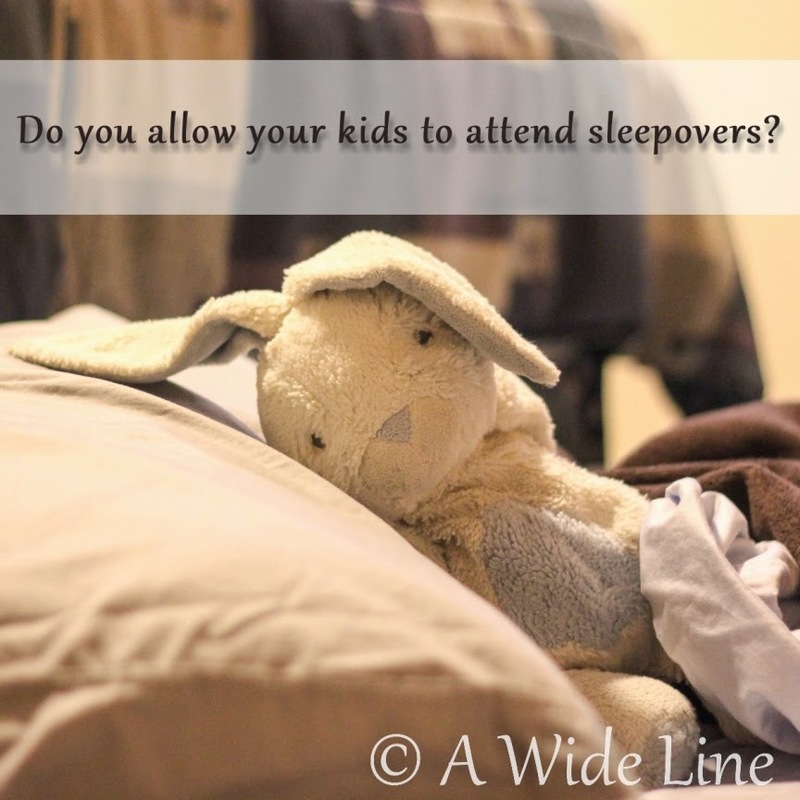 A Wide Line: Are sleepovers safe anymore? I recently came across this article by Tim Challies saying he doesn’t allow his kids to attend sleepovers. He argues that children are vulnerable at bedtime and should be at home in their own beds. At first, I thought the article was ridiculous. Some of my best childhood memories are of sleepovers – playing “Truth or Dare,” belting out pop songs into hairbrush microphones, blushing about cute boys, and giggling until the wee hours. My best friend, Kelly, slept over at my house almost every weekend, and I had a slumber party for my birthday every year until junior high. Sleeping at friends’ houses exposed me to how other families lived and taught me to respect their rules and values. I definitely got away with stuff I wouldn’t have gotten away with at home – like staying up late, watching scary movies, and wearing makeup – but I gained independence and learned to be responsible for my own behavior and decisions. What parent would shelter their children to such an extent and deny them these experiences? Once, when I was in either kindergarten or first grade, my friend’s older sister had a birthday sleepover, and my friend got to bring me along. Everything was great until bedtime. I always had trouble falling asleep, and a couple of the older girls thought my being awake was spoiling their fun. They stole my pillow and threw me a tiny heart-shaped pillow smaller than my head. They kept telling me all the terrible things they would do to me if I didn’t fall asleep. Then they told me all the terrible things they would do to me if I did fall asleep. I wanted to call my mom and go home, but I didn’t want to look like a baby, so I laid awake all night staring at the wall. In ninth grade, I slept over at a friend’s house, and the night went terribly wrong. We weren’t great friends – and after this night, we wouldn’t be, ever. We were hanging out in her basement, and everything was going fine until her delinquent older brother came home drunk. He tormented me the whole night, threatening to do vile and disgusting things to me while my friend pretended to sleep. He blocked the stairs so I couldn’t go up and call my mom. He stayed so close to me I could smell his breath, rancid from alcohol and cigarettes. He never actually hurt me – that wasn’t part of his game. Just the threat of what he might do and the fear on my face gave him all the thrill he needed. The sad part was I actually felt lucky that that was all that happened. I suppose I was. Eventually he passed out on the basement floor right in front of the stairs. Too afraid of waking him, I sat in the corner until the morning light peaked through the tiny window near the basement ceiling. I agree with Challies in that the world is just as unsafe today as it was back then, but we talk about it more now and have greater access to information. But even with my awful experience, I think banning sleepovers might be extreme, although I can certainly understand why he and many other parents choose to do so. If parents do decide to allow sleepovers, they need to know the other family very well and ask lots of questions before every sleepover because circumstances can change. Parents should know if the other child’s older sibling will be home and if he/she will have friends over. They should know where the other parents are going to be the entire night. They should know if the there is a gun in the house. And perhaps they should require that their child check in periodically, that way they know something might be wrong if they don’t hear anything. But I’m no expert on this. My boys are too young for sleepovers yet, and I dread the day they will ask to sleep somewhere other than Grandma’s house. I’d like to think that I would do enough homework on the other family so that I can feel comfortable giving my kids some independence and permit them to sleepover. But we all know what an over-anxious freak show I am, so we’ll see when the time comes. What do you think? Are your kids allowed to attend sleepovers? If so, what are the ground rules? My daughter had 10 girls sleepover for her tenth birthday party. We knew all the girls well, and they had a fabulous time. The only downsides were that they raided the candy we'd bought for decorating cupcakes, eating a ton more of candy after we went to bed, and literally hours of nail polish application and re-application. So, pretty tame as far as these things go. She's also attended other sleepovers, parties and just her and one other girl. But, she's 10. There haven't been any big brothers around, and everyone is still fairly innocent and sweet. It's something I intend to monitor a lot as she gets older. Also, for the younger set, we've done a lot of sleep "unders" where the kids come in PJs and bring sleeping bags, but then get picked up at bedtime. The kids have always loved it, feeling a bit more grown up, but not having to sleep away from home! 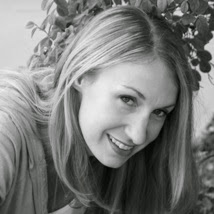 Looking forward to seeing you at BlogHer! Hi Melissa, I tried 3 times to post and got kicked out each time! Great blog and I love the new design! My daughter has had countless sleepovers with no problems, but I can remember being bullied at sleepover parties. You give great advice!